Do you have a firm grasp on sales tax and your business? Sales tax is a mother and it’s super important that you’ve considered it. It can either seem deceptively easy so you ignore it, or it can be totally overwhelming. Sales tax is a widely neglected area that is majorly important and constantly changing, especially if you sell products online – that goes for tangible products (ones you can touch) or digital ones. 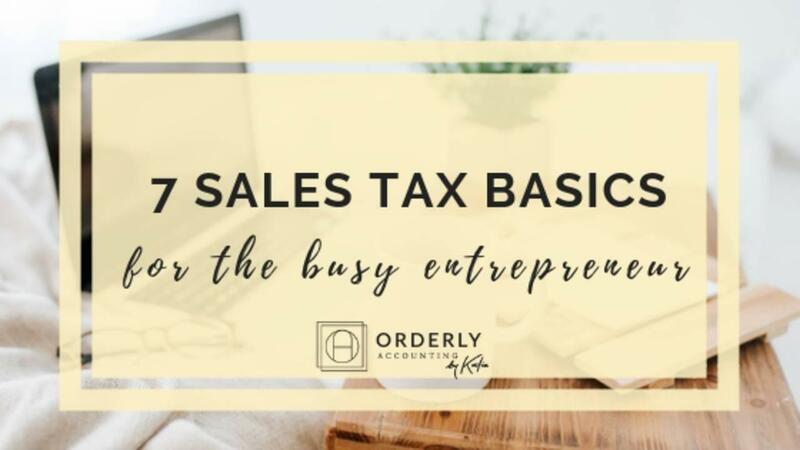 Lots of people have confusion here, so I’m going to provide some clarity regarding sales tax basics for busy entrepreneurs in this article. If you're brand new to business and need a place to start, be sure to grab my free Starting a Biz Checklist that has 12 action steps to prevent you from making mistakes that can cripple your business. Venmo for Business - Is It Bad? Sales tax is completely different from income tax. Filing your tax return with the IRS does absolutely nothing for you on the sales tax side. Also, sales tax is something the states manage. Each state has their own rules and rates and those rates, in many states, go all the way down to the city level. The state of Colorado has one sales tax return for the state, and over 60 other cities and counties that have their own separate tax return. Other states, like Massachusetts, have just one flat sales tax rate for the entire state and just one return to file. Others still, like New Hampshire, have no sales tax at all. It’s not something you want to be flip about. I worry about sales tax for small business owners because so many people just plain don’t consider it. If you are required to charge and file sales tax in a state and you never register and never file a sales tax return, then there is no “statute of limitations” for most states. This means that the state can go back from the beginning of time for your business and determine the tax you should have collected on all of your sales from day one, then tack on penalties and interest. Claiming ignorance will do nothing for you. You won’t have a leg to stand on. If you do file and it’s just incorrect and the state doesn’t audit you, the years fall off after a while. The statute of limitation is how far back a state can go. Each state has their own rule so this varies by state, but it’s typically 3 years. In this sense, filing at all is better than not filing. You only collect where you have nexus. What the heck-xus is nexus?? Nexus is a “significant connection” to a state that allows the state to require you, as a seller, to collect and remit sales tax on their behalf. Sales tax is burdensome and costly to administer and so states do not have the power to make you collect if you’re not significantly connected to them. The standard of nexus used to be a physical presence, meaning if your business had people or property within the state, you had nexus. But since the borders are blurring and out of state sales are becoming the norm, the states are losing out on tens of billions of dollars of sales tax collectively each year and let’s just say they’re not exactly happy about it. As a result, nexus rules are changing. A massive win for the states just occurred with a Supreme Court ruling, South Dakota v. Wayfair, which allows South Dakota to start requiring out of state sellers with no people or property in South Dakota to start charging sales tax if they reach a certain threshold of sales ($100,000 of sales or 200 separate transactions) within the state. This is why keeping on top of changing rules is important. South Dakota's win means other states will be acting fast to change their rules, knowing the Supreme Court will rule in their favor. Generally, services are exempt and tangible personal property is taxable. Of course, each state has their own rules and this is only a general concept. Certain states tax specific services. The states specifically list out taxable services (called enumerated services) and it should be pretty easy to find on their website. “Tangible personal property” is the fancy term for products, or things you can touch. Some products are exempt (not taxable), like groceries and other necessities. Again, this depends on the state and you can find this on the states' websites. Sales tax was designed so only the end user pays tax. The “end user” is the last person who touches the good or who is benefiting from the service. It is supposed to be paid to the state either as sales tax (if the seller is required to collect it) or as "use tax" – if the product is taxable but the seller isn’t required to collect tax. This would occur during an online cross-state sale where the seller doesn’t have nexus. Sales tax is not paid at every step along the way. What this means is you need to think about who the end user is. For example, if you are an Etsy seller and you buy yarn to make purses, the yarn you buy is going to go into a purse and the end user will be your paying customer. You should issue a resale certificate (that you get from your state when you register for sales tax as a retailer) to your vendor and not pay sales tax on that purchase. Your paying customer will pay sales tax on the sales price of your product. If the product is delivered to a state you have nexus in, you will be required to collect and remit (pay) the sales tax to the state. If you’ve been paying tax on purchases that become a part of the good you sell – this is fairly good news. The bad news is you’ve been overpaying, but the good news is you have a way to cut costs going forward, and you might even be able to request a refund from your vendor if you’ve kept good records. But let me be very clear – you don’t get to buy all of your purchases free of sales tax. If you’re buying something that you will use last, like office supplies or machines and tools you use to make your products that do not become a part of the finished good, then you are the end user and should be paying sales tax. If you’re vendor is not required to collect sales tax because you’re in a state where they don’t have nexus, you’re still not off the hook. You should be “self-assessing” use tax, filling out a form, and paying it to your state. I know you’re thinking, what the heck? Hey – don’t shoot the messenger! I’m just telling you the rules so you don’t get surprised should you end up on the wrong side of a sales tax audit. Auditors will examine your purchase receipts to see if you paid the right amount of sales tax, or self-assessed use tax, on your purchases. The states have been fighting hard for years to change the rules about sales tax as we branch into this paperless, border-less, online world where we can sell to anyone, anywhere, at any time. If you sell online, you need to pay attention to the changes. This means, in theory, you might not only have to worry about sales tax for customers in your state. Sales tax is one of those areas where you will likely leave with more questions than answers, and I’m going to say “it depends on the state” and “generally” an obnoxious amount. I wish I could give you easy charts that would answer all your questions, but it’s truly impossible. The states change their rules and each situation can be slightly different. If you're unsure where to collect tax, be sure to ask for the help of your tax professional. What worries me most in today’s world is how easily traceable everything is. It used to be that people could do business under the table and not be found so easily. But now, everything is online – people are using platforms like Etsy to replace what might’ve been something they sold from their home with no paper trail whatsoever. But not today. Today you can go on Etsy’s site and simply search for shops in a specific location. For example, if I were the state of Florida looking for Etsy sellers who aren’t charging sales tax, I could just go to Etsy, search by Florida shops, and it’ll pull up shops and right on the top let me know how many products they’ve sold and how long they’ve been active on Etsy. Then I can choose one with a decent number of sales, drop an item in my cart, plop in a Florida shipping address, and see if it charges me sales tax. If it doesn’t – BOOM, hello sales tax audit. The best thing for the state (worst thing for the seller) is that Etsy has sales reports and it would take very little effort for the state to determine what sales tax should have been collected and hit you with the bill – as I mentioned before, including penalties and interest. This isn’t just for Etsy sellers by any means. Maybe you’re a popular photographer or graphic designer who showcases her work on Instagram and has a large following and large portfolio. Did you know you might have to deal with sales tax depending on how you provide your clients with your work – like a CD or flash drive vs digital downloads? 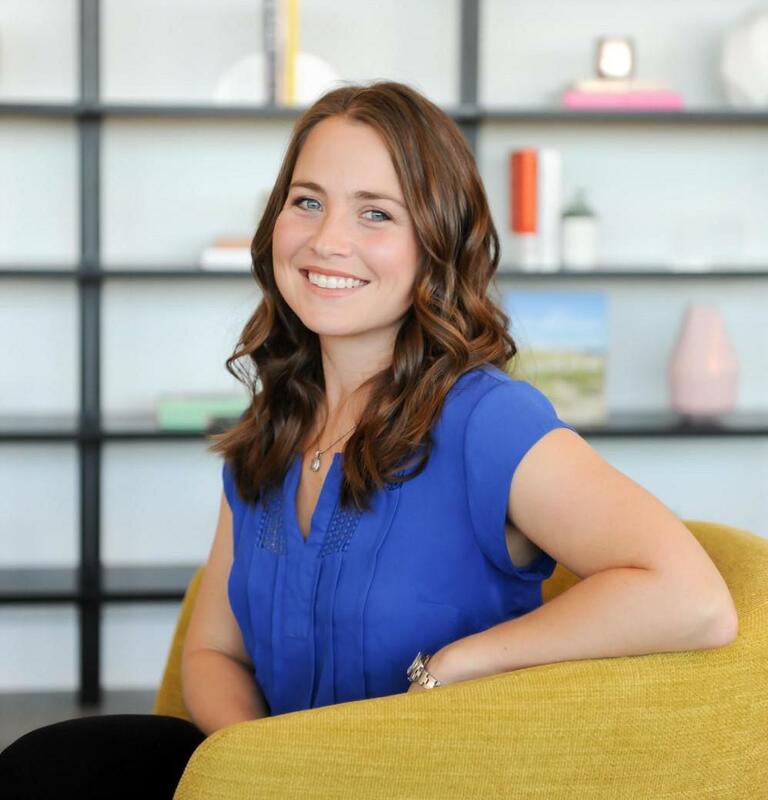 Do you sell online courses like me? If so, have you considered sales tax? Some states tax them! Be sure to stay in touch and check out my free resources. The best place to start is by getting your Free Starting a Biz Checklist to make sure your business is set up right and you haven't missed a step that could cost you a lot of money or potentially cripple your business. 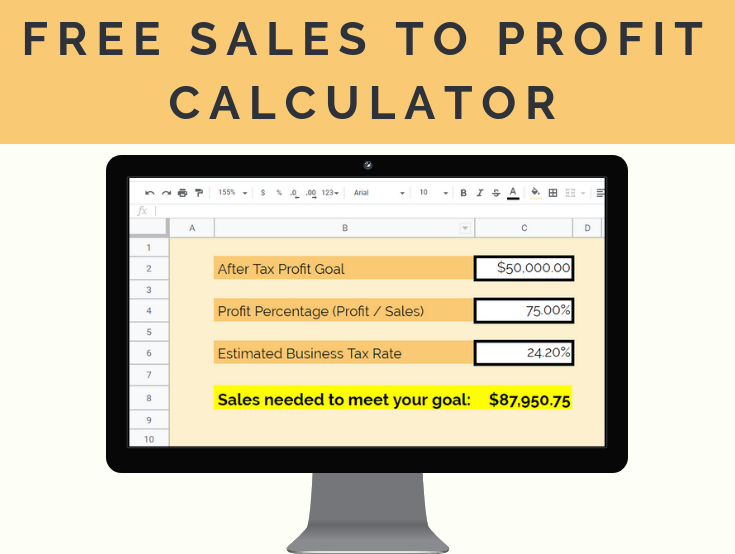 Find the magic sales number to reach your after-tax profit goals NOW! I'm a licensed CPA with 10 years of tax and accounting experience, fellow entrepreneur, & mama of two toddlers. 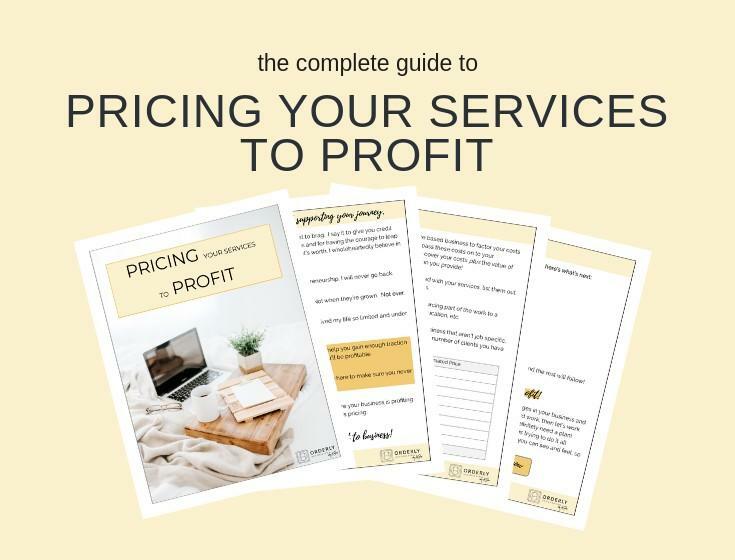 I'm highly passionate about helping service-based business owners increase their profits so they can live out their purpose long-term and make serious changes in their lives. Are you profiting to your potential? Let's chat and find out!